Welcome to Bell Tree Services, your family owned and operated tree company serving customers in Waterbury, Connecticut and the surrounding areas with over 25 years of experience. We specialize in residential and commercial tree-trimming, tree removal, crane service, lot & land clearing, cabling & bracing, tree planting, storm damage clean-up, landscape design and maintenance including mulching, lawn mowing and weed removal, and maintenance of floral garden beds. At Bell Tree Services, we pride ourselves on being there when you really need us, and that’s why we provide emergency tree services. If you experience tornadoes, hurricanes, severe thunderstorms, and even when a tree falls unexpectedly, your Bell Tree Service professional will work to clean the area quickly and effectively with minimal downtime. At Bell Tree Services, we provide crane services that can take care of all of your heavy lifting needs, and not just your tree removal services; we have also assisted local community with clean up after heavy storm damage. 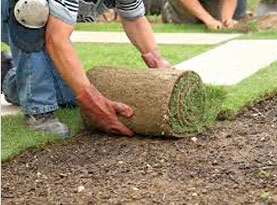 There is no job too big or too small for our professional technicians, we provide superior service at reasonable rates and we are renowned in the Waterbury area for providing professional, quality services, in fact our flawless reputation sets us apart from our competitors and we are confident that you will choose Bell Tree Services for all you tree care needs. Over time, trees can become overgrown and look visually unappealing, their branches can also begin to rot and cause damage. One of the most important things that you can do for your trees and shrubs is have them professionally trimmed on a regular basis. 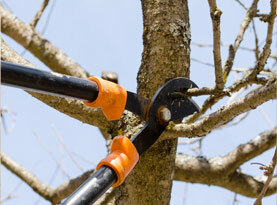 Our qualified technicians can remove branches along with trimming your trees and shrubs as well as chip or remove the debris. When you work with the experts at Bell Tree Service, your trees and shrubs will receive the best care possible to ensure they look healthy all year round. 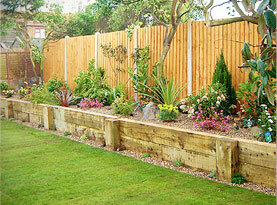 In some cases, the damage to your tree may be so severe that it cannot be saved. 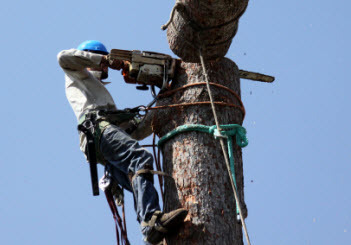 If your tree needs to be completely removed, our knowledgeable tree care technicians have the skills and equipment needed to get the job done quickly and efficiently. We also provide tree topping services of ornamental trees, which is the process of removing the entire top to preserve its health. At Bell Tree Service, we provide storm damage clean up so you can rely on us in cases of emergency. If you are experiencing storm damage that has left tree limbs, braches and leaves scattered around your residential and commercial property, you can rely on our team of professionals to get your property cleaned up quickly; we will also work with your insurance provider to help get your claim processed smoothly. Wind, rain and snow are common in Connecticut but that doesn’t mean they have to wreak complete havoc on your property. With over 25 years of experience in the tree service industry, you can trust the professionals at Bell Tree Service to clean up after damage caused by inclement weather. 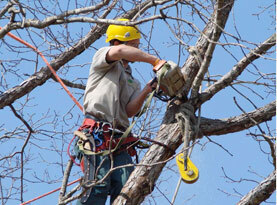 Contact us today and speak with a customer service representative about your tree care and landscaping needs.